It’s time for another Cute Outfit Ideas!! We’ve had gorgeous warm weather the past two days and another one expected today, so I’ve had spring on the brain. I’ve broken out a couple of my spring shirts and worn them with jeans and flats…and it has been wonderful. I always think fall is my favorite season, but when it comes to warmth and spring fashion, I get really excited. I think I just love all of the seasons and the pros and cons each bring with them. If you follow Fashion Week at all, then you know just how crazy their fashion trends can get. I try to pick the relatable trends and see how I can bring them into my everyday life. One of the trends I saw, which got me very excited, was gingham. Gingham dresses, gingham skirts, gingham jackets and gingham shorts. This is a look any woman can bring into her wardrobe and wear it well. I’ve received so many questions about the gingham shirt here. Unfortunately, it’s no longer available. I think it’s the combination of the blue shirt with the white jeans that just makes it pop. It’s such a great outfit! 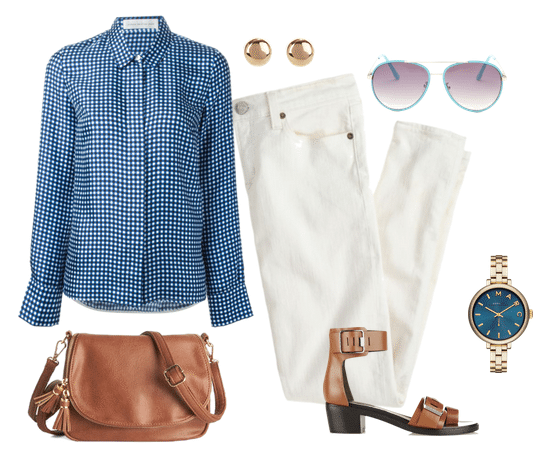 Here are a few more spring outfit ideas featuring gingham. 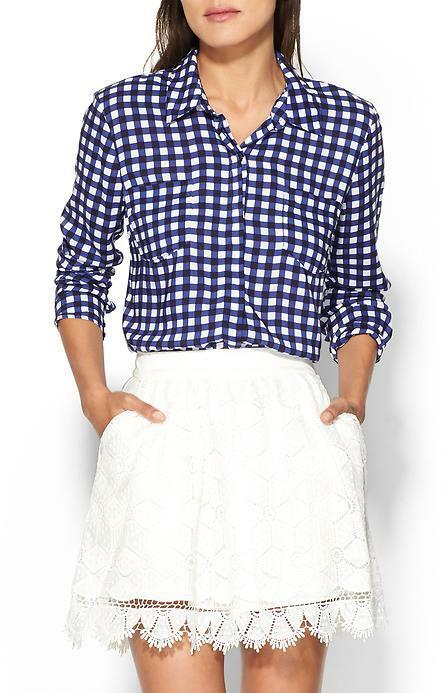 First up, your typical, every day, wear just about anywhere gingham look. Did you get some inspiration for your spring fashion? I hope so! These cute outfit ideas sure got me inspired to add some gingham to my wardrobe. More gingham goodness below….